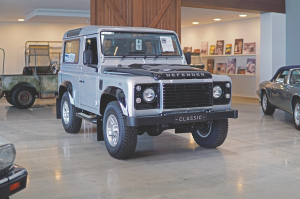 Jaguar Land Rover has previously offered servicing work for classic vehicles across different parts of the company but over the past 18 months this has ramped up to a whole new level. 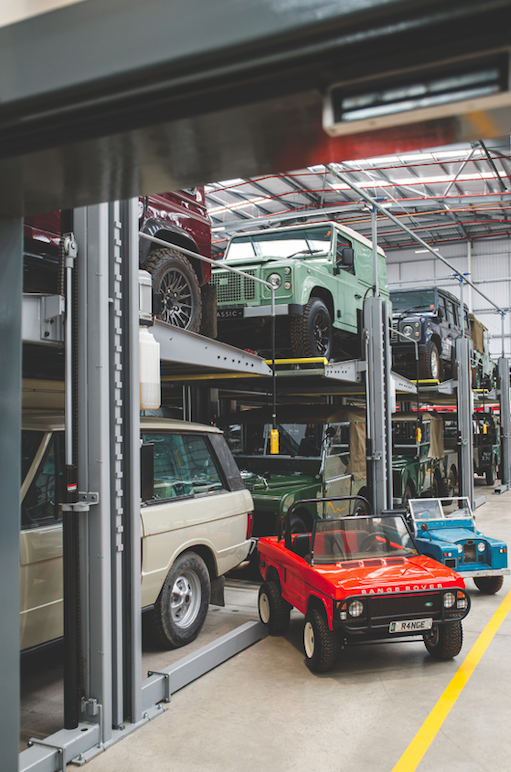 A newly dedicated workshop has been the catalyst for JLR to create new builds and restorations of cars from their illustrious history. 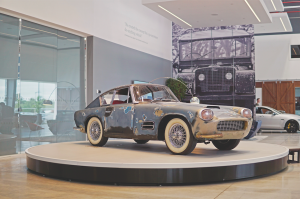 Upon entering the building, you are greeted by a showroom full of the latest completed projects. From a 1998 Jaguar XK8 at the more modern end to an iconic 1951 XK120, which is so valuable, no team member is willing to place a price estimate on it. 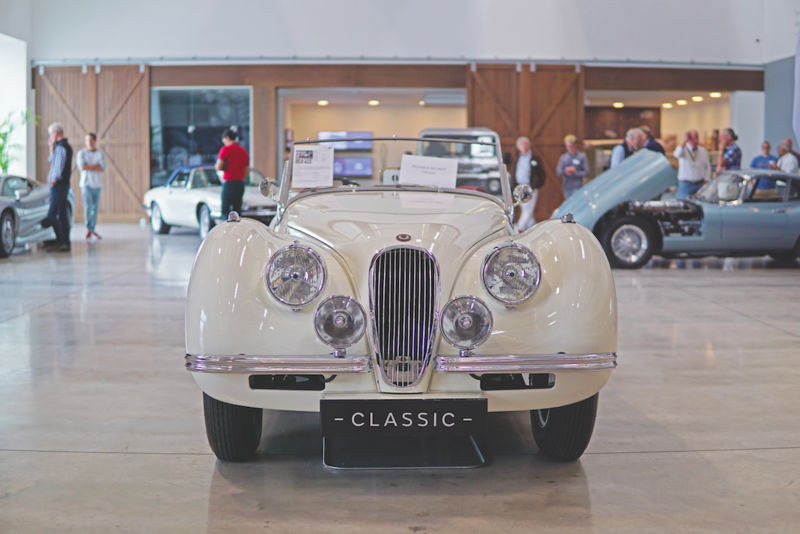 They all showcase what JLR Classic Works can do — provided you have the available funds. However, servicing is now only one part of the business. 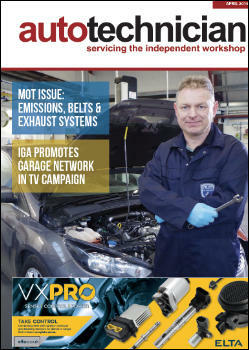 The exciting part is the full restorations and the burgeoning trend for the production of new classic cars. On display was one of a nine-car batch of newly built Jaguar XKSS cars. In 1957, a fire destroyed nine of the now-classic vehicles, so the team set out to finish that production run. Each was sold for over £1m and were the result of over 10,000 painstaking hours. The success of the XKSS project engendered future projects, having just announced a run for 25 D-Type LeMans race cars. Think of them as an automotive epitaph. I’m going to go out on a limb and suggest they cost a bit more than a contemporary Jaguar XE saloon. “Everything is stripped, the chassis is rebuilt and then we go through each and every part by hand. For many parts, there isn’t an off-the-shelf solution, which makes it a real challenge. For example, the window seals had to be prototyped and tested before giving the go-ahead to make enough for the production run. Creating new parts for a vehicle from the 70s is a long and detailed process. Within the expansive workshop, areas are divided for each project and the place is spotless. Wealthy, potential customers are often given a tour at short notice, travelling from around the world to show interest in a new project or see how their order is progressing. Some members of this division worked on Jaguar production lines decades ago, while others have been with the company for over 30 years in some capacity. 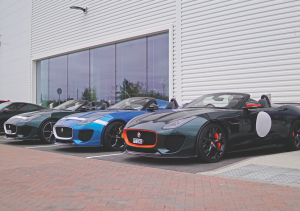 With the recent growth, JLR has moved experts from certain departments and with useful skill sets into this relatively new team. 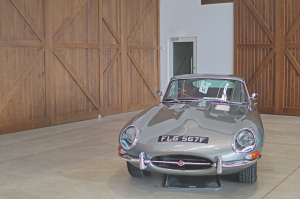 Allan Madden, Auto Electrician, was recently working on the electric vehicle I-PACE project, but now uses his expertise fixing, restoring and improving the electrical systems of classic Jaguars and Land Rovers. 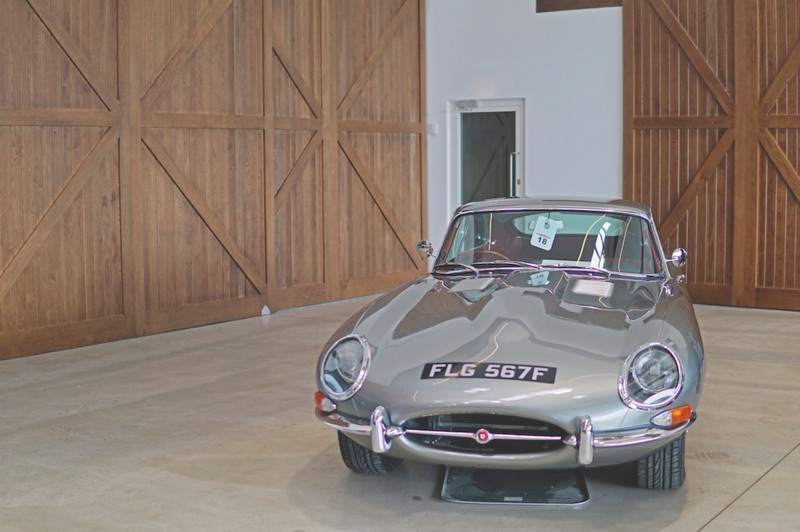 “I’m currently working on a new stereo system to work in E-Types. Featuring DAB, phone connectivity and satnav, it must not ruin the classic aesthetic of the interior. Some customers would like modern conveniences when driving their newly created classic car. Modern antennas make it possible as they work through metal. We take great care to subtly integrate the system. Speaking of core experiences, the made-to-order restored Series I Land Rovers raise an interesting question. 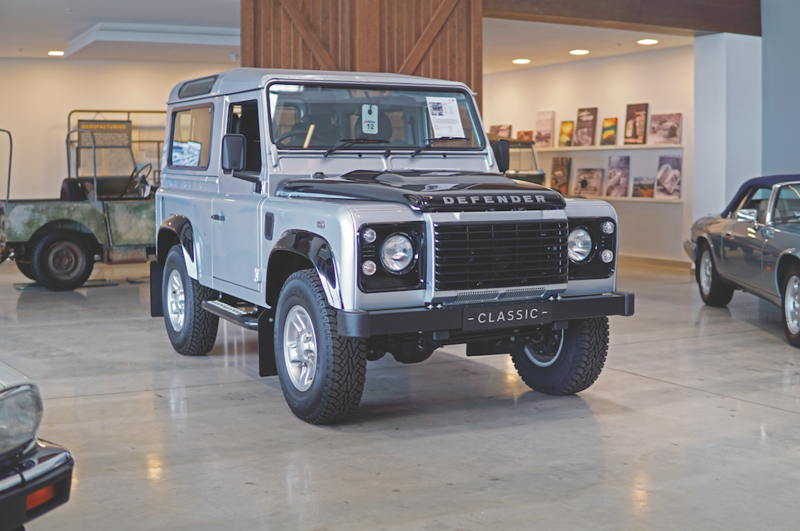 Is a Land Rover without dents, scrapes and patina a ‘proper’ Land Rover? I’m not sure it is. There’s something slightly sterile about a perfectly shiny example, lacking blemishes and arguably character. They are meant to be workhorses, not a retro party piece. Perhaps if I were to order one, I’d request that someone takes a small hammer to the bodywork before collection for added authenticity. There are some vehicles hidden here that have actually had some hammers taken to them. Just around the corner from the main workshop is a second room where a large historic collection is kept on two levels of vehicle lifts. One is a Range Rover Sport that was used in the filming of 007 film Spectre. Looking like it has been driven through a wall, the mud is in fact painted on and the dents were formed on reasons of continuity. Below this car sits a Jaguar C-X75, a stillborn hybrid supercar project (also seen in Spectre) that was built by Williams. Only a handful exist, two of which are in this very room. The business case for production didn’t make sense in the end, which is a colossal shame, as a Jaguar featuring a redline of 9,000rpm, 878bhp and development by a Formula 1 team really is the stuff of dreams. Sadly, it shall remain just that. Anything that has been significant in the history of Jaguar and Land Rover is in this room. Chassis number one of the current F-Type, a rather fetching red convertible, now has a home in this collection. Dig a bit deeper and there are two early 1990s prototypes for what became the Jaguar XK8/R, one of which is still wearing a heavy disguise to put-off car magazine photographers from getting an early scoop. Some real oddities such as the one and only Daimler badged Jaguar XJS — which never came to fruition — rub shoulders with an unloved X-Type estate, serving as a reminder of the challenging spell under Ford ownership. 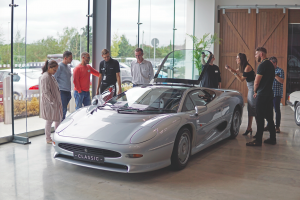 Everything in the collection has been mechanically restored, as occasionally these cars will be rolled out at events or for PR purposes, and it’s the team of technicians that have to keep them in tiptop condition. The main takeaway from a visit to the Classic Works location is one of solidarity and teamwork. Everyone exudes enthusiasm for cars. 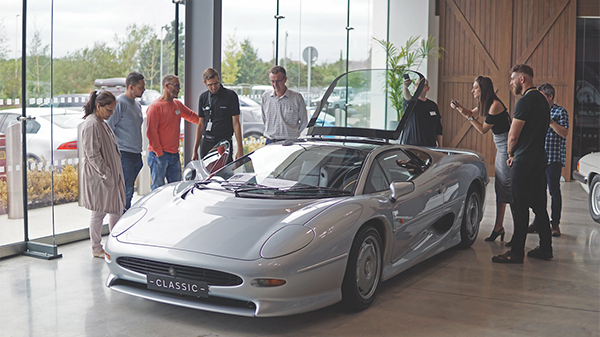 They love working on iconic vehicles and proudly proclaim which area they are currently working on, be it polishing a 1990s XJR for an upcoming event or tinkering around in the deepest darkest depths of an XJ200 engine bay. Make no mistake, while the workshop is a giant structure of white light, squeaky clean floors and million-pound collector’s items, it’s still a workshop full of talented technicians that love to take apart cars.